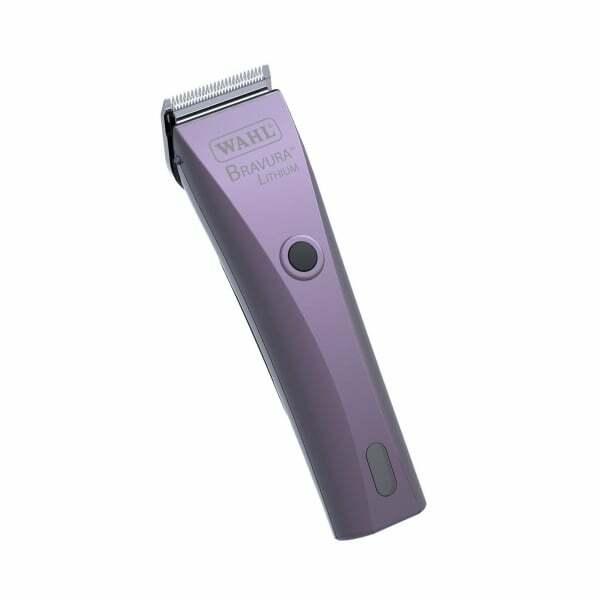 The Adjustable Wahl® Bravura Clipper features the Bravura's five-position blade that allows cutting lengths to adjust from 0.1 to 3 mm. These pet grooming color clippers are equipped with a special two-way operation that allows non-stop corded use while charging. 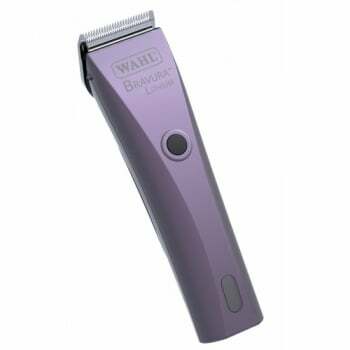 The adjustable Wahl® Bravura Professional Clipper, features a built-in torque control to automatically increase power when clipping through tough mats and thick coats. Includes 6 1/2" clipper, adjustable blade, charging stand, plug-in transformer with 10’ cord, four attachment combs (3 mm, 6 mm, 9 mm, and 12 mm), cleaning brush, oil, and instructions. Available in three great colors: Purple, Red, and Silver. Handpiece with Blade: Weight: 8.8oz Length: 6 1/2"
This Bravura comes with a five-position cutting blade.